Luxury Cars and Watches - Boxfox1: New Motorola Moto X. All Yours. New Motorola Moto X. All Yours. People want choice. The choice to design their own phones. The choice to control their phones by voice when their hands are occupied. The choice to have their phones assembled in America. Moto X offers you that choice. It’s designed by you, responds to you and is made for you by Motorola, a Google company. Once you turn it on, it’s all yours. And every Moto X sold in the USA is assembled right here in the USA. With the best of Google services baked in, Moto X helps you get everyday tasks done quickly and with less fuss. But it’s also designed to sip battery, not chug it, so it will go all day and into the night. Moto X is ready when you are. It responds to your voice - no touching necessary. With Touchless Control you can check the weather, get directions, or do just about anything without lifting a finger. Moto X doesn’t guess like other phones do. It knows. With Active Display, Moto X keeps the information you need to know at your fingertips. Instead of a constantly blinking light, important information quietly appears on the screen. It doesn’t interrupt. You don’t have to wake it up to look at the time or see your messages. Before you know it, that constant itch to check your phone will be gone forever. Need to capture that perfect moment before it’s gone? All it takes is two quick twists of your wrist and Moto X’s Quick Capture camera is ready to shoot. Touch anywhere on the screen and you’ll get just the shot you want. Its high-quality sensor can capture the darkest scenes or stop motion blur in bright light. You’ll see the difference in every shot. And all of this is battery-friendly, so Moto X is ready to respond all day long. Your Moto X is truly yours, because you design it. Through our online studio, Moto Maker, you choose the colors, and decide on the details: front, back, accents, memory, wallpapers, even add a name or a short message. When you’re done, we assemble your Moto X right here in the USA and ship it to you for free in 4 days or less*. Choose from more than 2,000 possible combinations, with more to come. We’ll be constantly exploring new offerings, such as real wood backs, starting later in the year. Still love the classics? You can choose an eye-catching woven black or woven white model right in the store (see below for more info on availability). We’re pretty sure you’ll love your Moto X, but if for some reason you don’t, you can redesign or return it within 14 days**, no problem. Moto X has a unique curved back, designed to fit your hand comfortably, along with a 4.7-inch screen that makes it easy to operate with only one hand -- when you want to use your hands that is. Plus, no one has ever assembled a smartphone in the US before. We think it’s about time. 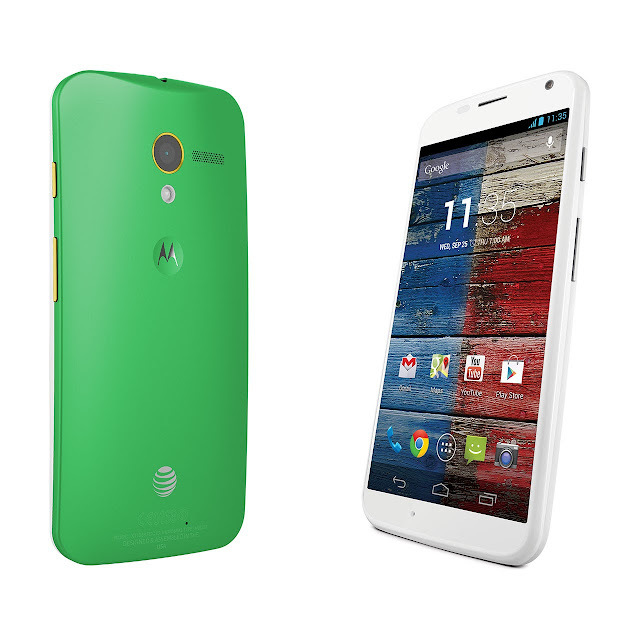 Each Moto X sold in the US is individually assembled in Ft. Worth, Texas. Doing this in the US means you can design a custom phone online and have it delivered right to your doorstep in just a few days. We’ve partnered with the most innovative brands in the world including SOL REPUBLIC to create an ecosystem of accessories for your Moto X. We call it M4DE Motorola™. These include headphones, speakers, cases, docks and more. You can even match your headphones to your Moto X. 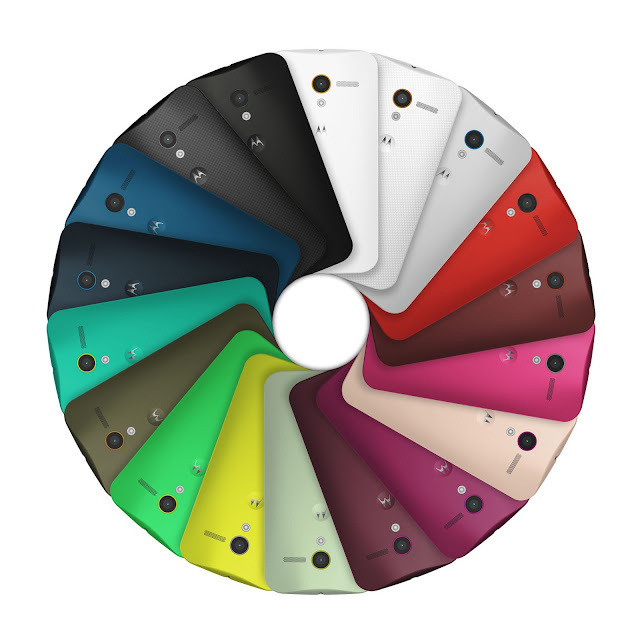 They come in all the same custom colors of the phone, in two different styles. On your ears: SOL Tracks HD headset with a V8 sound engine that has deep base and high quality. In your ears: SOL JAX earbuds with controls for calls and music, plus free ear tips for life. 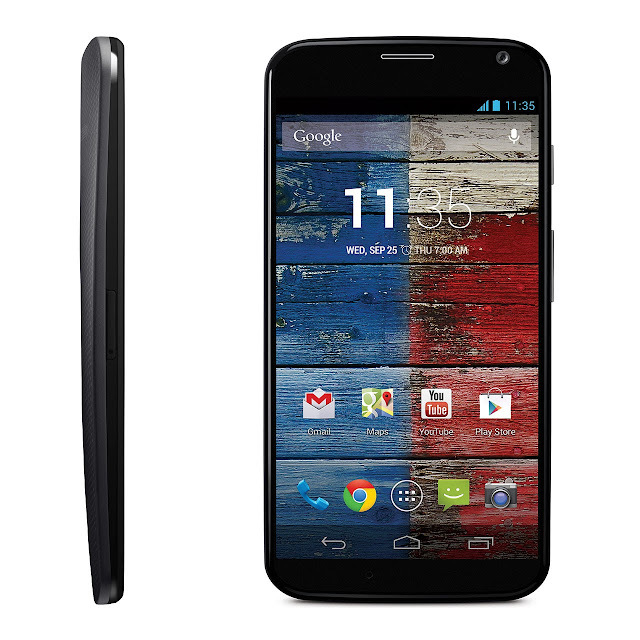 Moto X will be available in the US, Canada and Latin America starting in late August/early September. In the US, woven black and woven white models will be available at AT&T, Sprint, US Cellular, Verizon Wireless and at national retailers including Best Buy stores with a suggested retail price of $199 with a new two-year agreement. Additionally, it will be available on all carriers, including T-Mobile, at Motorola.com.